Please allow me to give my perspective on the plot to poison Boehner from a Cininnati person. Ebola, evil voices and the devil. 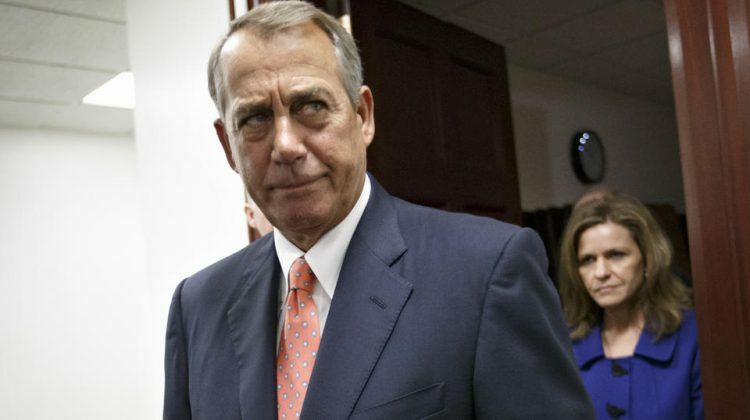 Hoyt called police on Oct. 29, a week after being fired from the club, and blamed Boehner for his woes, police said. As you see there is a huge difference between the two communities. So what does this tell us? Well we have a guy from blue collar America having to travel 15 miles each day to work, serving some of the top earners in the Cincinnati area. This isn’t making an excuse for Hoyt’s actions, but I just wanted to put this in a little perspective. Now Hoyt has been described as someone suffering from long term mental illness. If you take someone suffering mental problems, then have them head from middle-class USA to upper-class USA to serve and listen to the complaints of the elite, you can start to understand how that may take a toll on someone. I can’t defend what Hoyt was planning, but can have a little understanding. I also can blame his former employer, Wetherington Country Club, for not seeing signs of mental illness, and for most likely not providing health insurance to cover it. Bartending is not like any other job. I know, I have done it for over 20 years. When you bartend, you open up more to people than anyother job. Hoyt tended bar at Wetherington Country Club for years. We’re not talking about the local, corner bar, but a private country club with limited membership. Adding that factor in, the people in Wetherington, including doctors, should have really picked up on the fact that something wasn’t quiet right with this guy. Agents said they also found a bullet hole in the upper wall of Hoyt’s first-floor bedroom. Officers said they later recovered Hoyt’s SKS assault rifle at his mother’s home in Hebron, Ky. She told investigators she removed it from his home while he wasn’t there because she noticed he was not eating or sleeping and becoming increasingly agitated, Desrosiers said. Catch that? We have a person, with a history of mental problems, that also owned an assault rifle. Thankfully his mother had the foresight to take the gun from him, or we could be looking at a much bigger story here. No need for conspiracy theories, or accusations of hacking here. Debbie is a realtor for one of the area’s top agencies. Being in real estate, that means her email address is very easy to find online. A quick Google is all Hoyt needed to contact the Speaker’s wife. One final thing on this story. As soon as it broke, we also saw right wing sites jump to the “damn liberals” argument, claiming that Hoyt is from the left. Truthfully, we have no idea where his politics lie. Since 1998 this man has voted only twice, once in the 2000 general election and again in the 2012 general. He’s not registered with any party and there is no political views online for him. Instead this is just a highly disturbed man that was thankfully stopped before he could have carried out a heinous crime. To that, kudos must go to local law enforcement, the FBI and Capital Police.